This bistro chair is designer made and built to last. 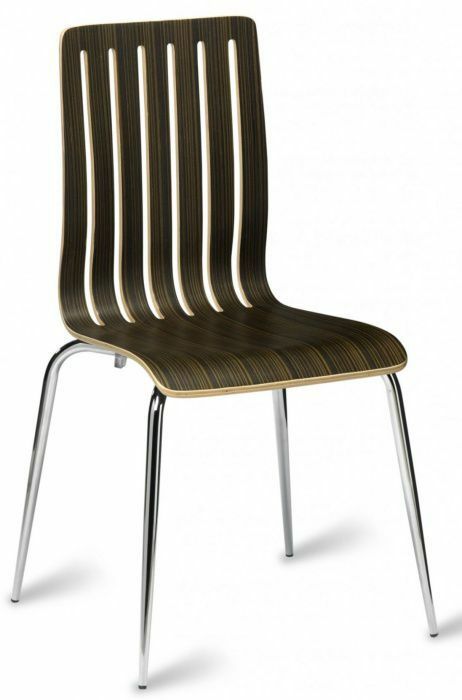 Finished in a fantastic polished Wenge Zebra veneer and supported by a strong modern Chrome frame and legs. These bistro chairs are delivered flat packed and are easily assembled please contact our sales team to take advantage of our free café furniture installation service.